Dead Rising 4 will receive two new difficulty modes, Hard and Ultra-Hard, upon its next update on 30th January. These will make the game more challenging as weapons will break faster and food won’t restore as much health. Finishing the game on either new difficulty will unlock a new Achievement (“Chopping Spree” and “Biters Remorse”). The organisers of a big, upcoming Killer Instinct tournament have banned teabagging – a decision that’s sparked a vociferous debate within the fighting game community. The people behind the Killer Instinct World Cup, set to take place in March in Texas, served notice of the ban on Twitter (thanks, ). Teabagging is perhaps most famous in first-person shooters such as Halo, but it’s prevalent in fighting games, too. In the likes of Killer Instinct and Street Fighter, repeatedly pressing down so your character crouches in quick succession is considered teabagging – a virtual taunt more annoying than the built-in taunts the characters have at their disposal. 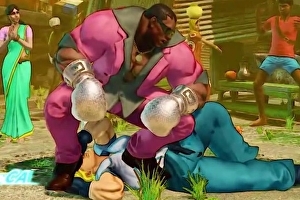 In fighting games, you’ll sometimes see players teabag their opponents when it looks like they’re going to win the round – or their opponent is “dizzied”. 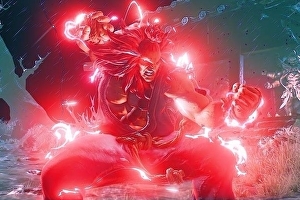 Street Fighter 5’s second season begins today with the addition of Akuma as a playable character. 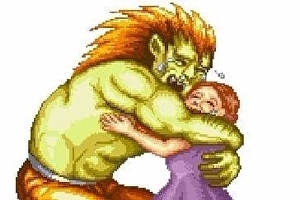 Akuma arrives alongside his story, premium battle and nostalgia costumes. 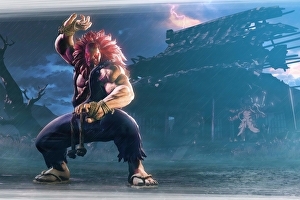 There’s a £24.99 Season 2 character pass, which gets you Akuma and five brand new characters throughout the year, along with their premium costumes and a PS4 theme. There are a huge number of balance changes. Capcom’s put out a with all the details. I won’t go through them all here, but instead look at the tweaks from an overarching perspective. Strip away the cinematic camera angles from Street Fighter 5’s Critical Art super moves and they look very different indeed. The video below, from , depicts the fighting game’s super moves without the in-game cinematic camera activated. 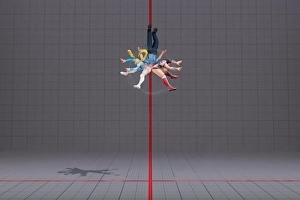 So, we see Critical Arts from the likes of Rashid, Mika and Laura from a fixed, side-on perspective, with the camera panned back quite a way because some of the supers take to the skies (Vega’s, for example). Street Fighter 5 suffered a big leak overnight, and it revealed Capcom plans to shame rage quitters by branding their fighter profile. Since its launch in February, the fighting game has struggled to combat rage quitting. There have been a few updates designed to tackle the problem, but there’s no significant visual cue in the game right now that identifies repeat offenders. Yesterday, players noticed a new test branch went live on the Steam version of the game. Amazingly, it looks like Capcom failed to password protect the branch, and it didn’t take long for fans to dig into the detail. 2017 looks pretty good for fighting game fans. We’ve got Marvel vs. Capcom Infinite, Injustice 2, season two of Street Fighter 5 and Tekken 7. Tekken 7 has flown under the radar for me, what with the Capcom Pro Tour doing its thing. But its western release on PlayStation 4, PC via Steam and Xbox One is fast approaching (early 2017, according to publisher Bandai Namco), so character reveals are coming thick and fast. 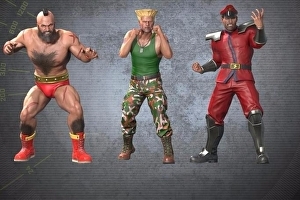 The latest pair of confirmed characters will come as no surprise to fans of Tekken, but it’s cool to see them in action. 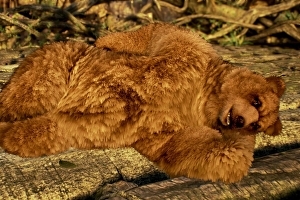 Kuma and Panda, Tekken’s super furry animals, are present and correct. Capcom has signalled balance changes are coming to Street Fighter 5 as part of season two of the fighting game. 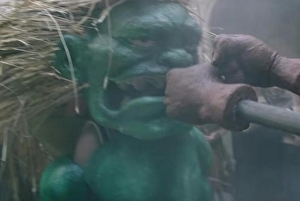 The balance changes, due out in a few weeks, are designed to make each character’s uniqueness “truly shine”, Peter “ComboFiend” Rosas wrote in a post on . 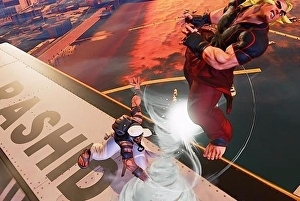 Rosas said Capcom had noticed that there are a few particularly strong mechanics in Street Fighter 5 that resulted in players using them more than the unique attacks each character has at their disposal. The inevitable has happened: a Street Fighter 5 mod has made Sombra from Overwatch playable in the game. 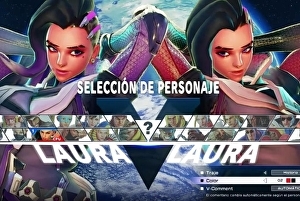 , whose , re-skinned Street Fighter 5’s Laura so that she becomes Sombra. It’s a great fit, not least because both characters have similar hairstyles. In fact, when Sombra was announced, some within the fighting game community suggested Blizzard had used Laura as inspiration for her design. Capcom has banned Street Fighter 5’s latest stage from its own tournaments because it’s too distracting. The Skies of Honor stage, added to the fighting game earlier in November, is set on the wings of a flying plane. As a match plays out, the plane flies over a representation of Dubai, tilting as it weaves in and out of skyscrapers. In short, while the foreground is static, the background is constantly moving. John Lewis and M&S eat your hearts out. Sony’s released a fancy new PlayStation 4 advert just in time for Christmas – and it’s packed with video game references. The ad stars the King, who is so bored by his medieval existence that he goes on a video game-inspired imaginary journey. I spot references to Destiny and Street Fighter 5, as well as scenes set in upcoming PS4 games Horizon: Zero Dawn, Spider-Man and God of War.